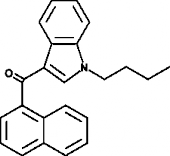 A bicyclic CB analog with potent analgesic activity; comparable or more potent than Δ9-THC in analgesic, motor depressant, anticonvulsant, and hypothermic effects; avidly binds the central cannabinoid receptor CB1 receptor (Ki = 2.1 nM). 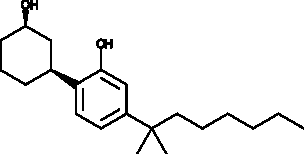 CP 47,497 is a bicyclic cannabinoid analog with potent analgesic activity. It is comparable or more potent than Δ9-tetrahydrocannabinol in analgesic, motor depressant, anticonvulsant and hypothermic effects in mice, rats, and dogs. The levorotatory enantiomer, (−)-CP 47,497 avidly binds the CB1 receptor (Ki = 2.1 nM). Cross selling for this product : (−)-<wbr/>CP 47,497 (exempt preparation) There are 10 products.